Dr. Denise Chow joined our veterinary team in 2015. Dr. Chow graduated from the University of Pennsylvania School of Veterinary Medicine in 2011. She completed an additional year of veterinary training through an internship at the University of Illinois. She worked as a general practitioner in Chicago before relocating to Charlottesville in 2015. Her interests include veterinary internal medicine, dentistry, and ophthalmology. 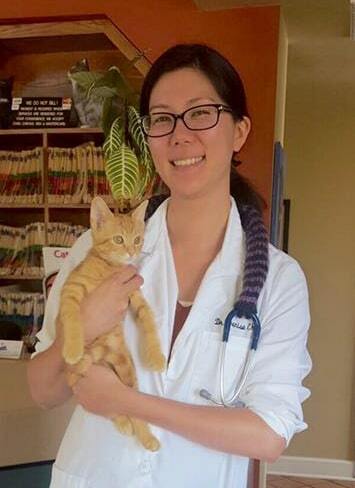 When she is not at the veterinary hospital, Dr. Chow enjoys gardening, crocheting, and hiking. She lives in Charlottesville with her husband and 2 dogs.